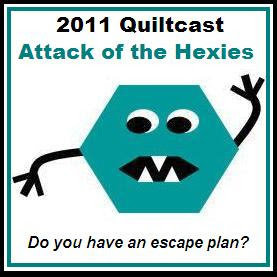 Quilting...for the Rest of Us: Boxing Day Sew-In--Join the Fun! Boxing Day Sew-In--Join the Fun! Keep your cyber-eyes glued here. For 24 hours on December 26, 2011, Boxing Day Sew-In comes to town! I'll be posting all the information you need to play along at midnight (North American Eastern Standard Time, or UTC-5 hours) on December 26*! The blog post will have information about give-aways, mini-challenges, other goodies. Pam of Hip to Be a Square, Tanesha of Crafty Garden Mom, Sandi of Quilt Cabana Corner, and Jaye of Artquiltmaker, will all be hosting or sponsoring giveaways as well--you'll find all the information and links here as soon as Dec 26 hits at my house. Also--to make the fun even better--we'll be having fun on Twitter too! Not only will we be keeping one another updated on our progress via Twitter, but we'll be having special Twitter-only challenges and giveaways. Want an easy way to keep track of #BDSI on Twitter? Go to www.tweetchat.com, link it to your Twitter account, and then follow #BDSI. You'll be able to track all the #BDSI convos in one easy place! Be sure to check it frequently--some mini-challenges will have time constraints on them! Boxing Day Sew-In will officially end again at midnight EST--as soon as December 26 ends at my house--24 hours of fun! Giveaway winners will be announced on December 27th. And 24 hours is 24 hours no matter where on the globe you're standing. So, for some of you, BDSI will be ending on December 27th. And that's OK with me. Spread the word--the more the merrier! Thanks so much to Pam for the BDSI badge--we love it! Grab it here and post it to your own blog!